This important widget allows you to display your business’s opening hours in every page you want, and also in your site’s general widget areas. 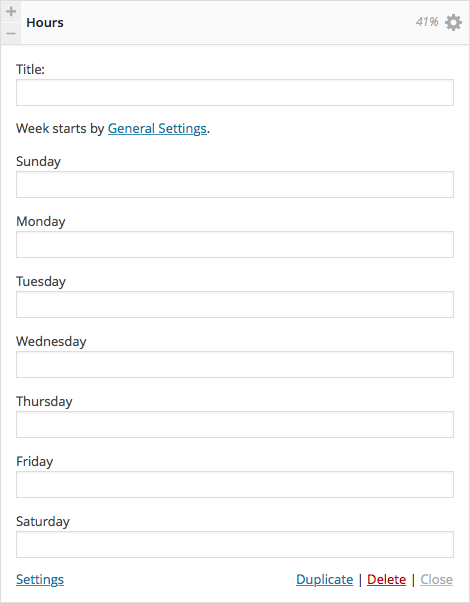 Note that the first day of the week that is shown in the widget is according to what you set in the site’s general settings. Title: Place here the title you want to be displayed above the opening hours. Sunday – Saturday: Here you enter the opening – closing hours, you can also write in free text, i.e. Closed.